locomente...: August is here... Time to celebrate! August is here... Time to celebrate! 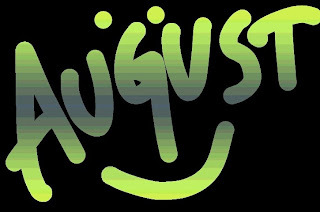 August comes with a handful of holidays and also carries reasons to celebrate!!! Or is it the child in us that keeps us going? May be the childishness makes us believe us that there is a tomorrow though we know the bitter truth – that nothing is permanent or certain. May be it is the child within that makes us live in a World of our own, by taking what we want and ignoring what we don’t! With holidays and more reasons to celebrate! Thus loiter aimlessly at home!! !